Italian Lakes villas are excellent locations for weddings. Choose a stunning Renaissance villa and have an outdoor blessing ceremony in the beautifully landscaped garden or inside the villa itself. 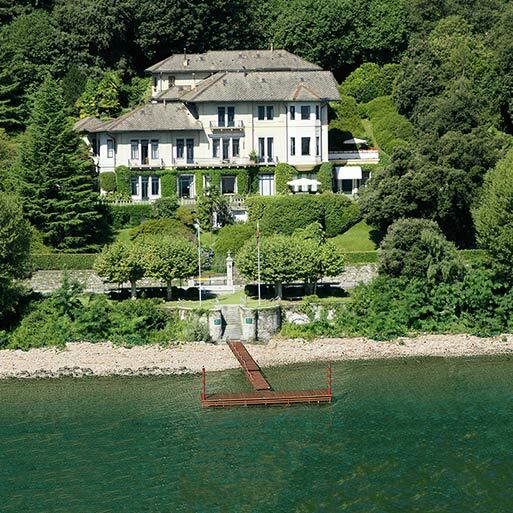 Italian Lakes offer some of the most extraordinary villas with amazing views. The small and sophisticated lake of Como, the gentle and elegant Orta lake, the romantic lake Maggiore and the impressing and blue Garda lake offer extraordinary properties with beautiful Italian gardens climbing down the lake. Dreaming of marrying in your own castle and be a princess for one night? Italian Lakes castles are set in relaxing and peaceful surroundings, perfect hideaways for enchanting fairy-tale weddings in Italy. For those spouses who want to feel like a king and queen for a day there is no better way than celebrate your wedding in a truly historic place. 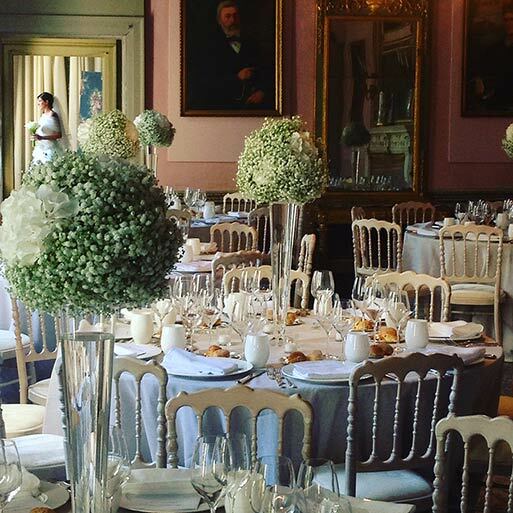 Find out more about best Wedding Venues on the Italian Lakes Region by clicking on either their info page using the links below. Villa Muggia in Stresa on Lake Maggiore has preserved the original appearance set by the Siemens family despite having been transformed into a location for weddings, exclusive events private and corporate, sharing the splendor and giving life to memorable moments. The CENTRO DANNEMANN is situated in Brissago (Ticino-CH), a small and lovely village on the Italian border, in the southern part of Switzerland on the west lakeside of Lago Maggiore. This exclusive event-location is situated in an old cigar manufactory directly on the lake Maggiore and has a extraordinary atmosphere that combines tradition and charm. 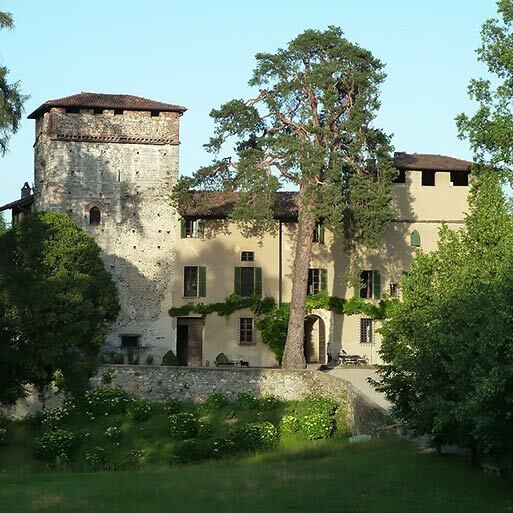 VILLA CLAUDIA DEI MARCHESI DAL POZZO is an important and exclusive Ancient Villa. 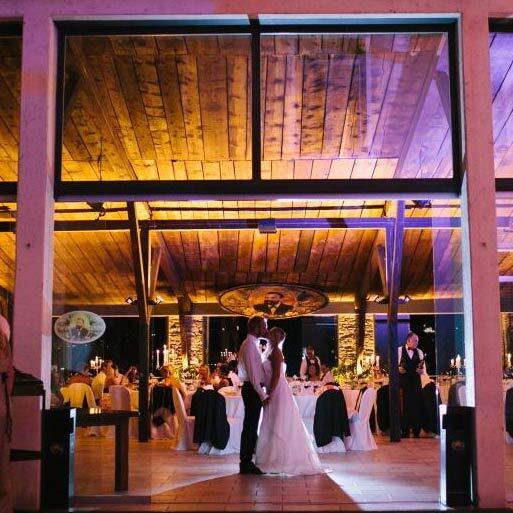 Villa Claudia is the perfect setting for unforgettable wedding receptions and parties. Four main halls overlook the terrace with a breathtaking view of Lake Maggiore. English-style terrace and lawn can host up to 230 guests. 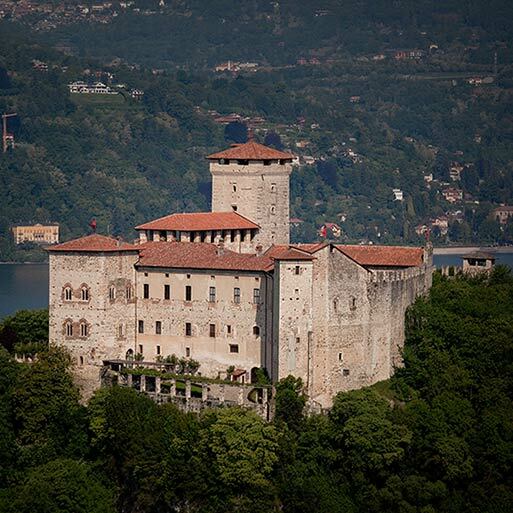 The extraordinary Angera Fortress rises imposingly on a rock spur, reflecting its crenelated walls in the sparkling waters of lake Maggiore. Between beautiful landscapes, wide courtyards, refined halls, frescoed vaults and exceptionally evocative views, the medieval castle presents itself as a dream location for unique and unforgettable weddings. 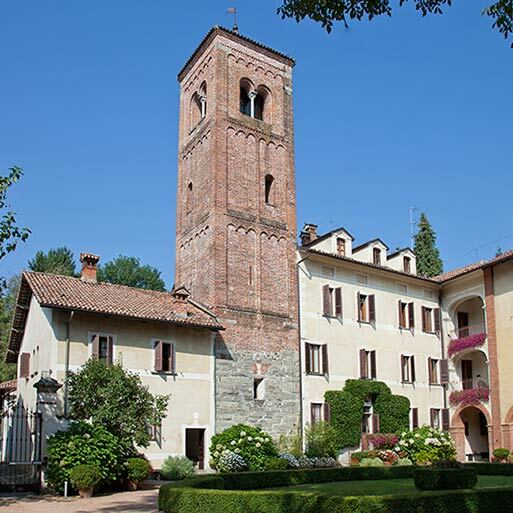 Abbazia di Santo Spirito - Villa Giannone is a wonderful ancient venue in the nature on the hills of Lake Maggiore. Here you could celebrate your wedding in a romantic private chapel or even outdoor in the amazing garden. Just few minutes from the Abbazia you can reach Lake Maggiore and International airport of Milano Malpensa. 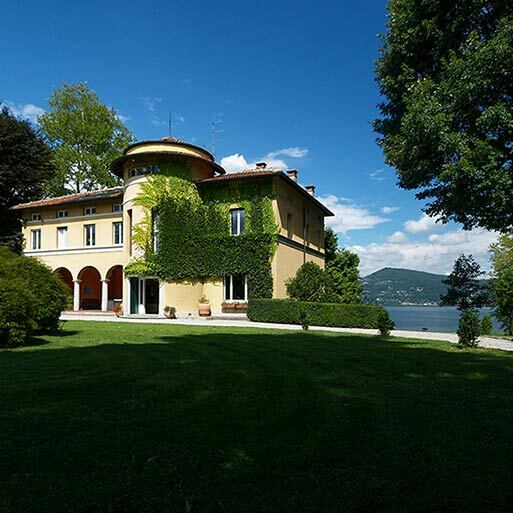 Side of Lake Maggiore and close to Milan and its Malpensa airport there is a wonderful villa: Villa Rocchetta! These features make Villa Rocchetta a unique venue for your wedding on Lake Maggiore and Lake Orta areas. It is also close to one of most evocative Italian churches: Eremo (Hermitage) of St. Caterina del Sasso. The PENOTTI UBERTINI PALACE is situated in the middle of the Medieval village of Orta San Giulio, Lake Orta. It situated in an ideal spot, elegant and exclusive, to celebrate weddings, events, photographic exhibitions, fashion shows, exhibitions, presentations, formal dinners with catering and business meetings.